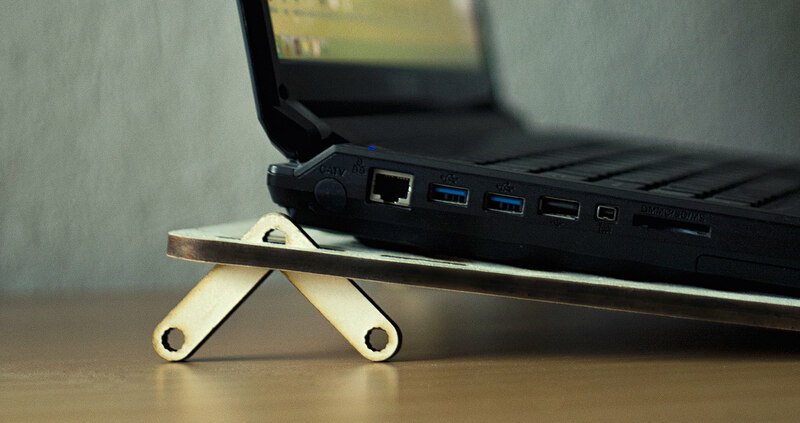 A do-it-yourself laptop stand, whose manufacturing leftovers can be used to create a variety of functional objects. 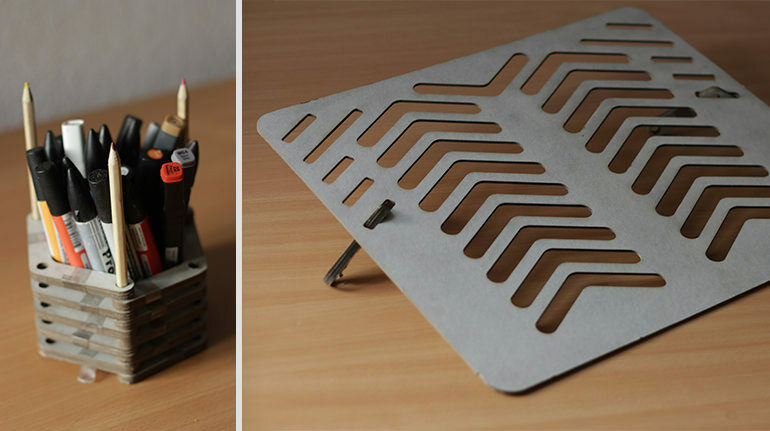 A do-it-yourself laptop stand, whose waste material can be used to create a variety of functional objects. Inspired by leftover laser cut sheets. YAPP! 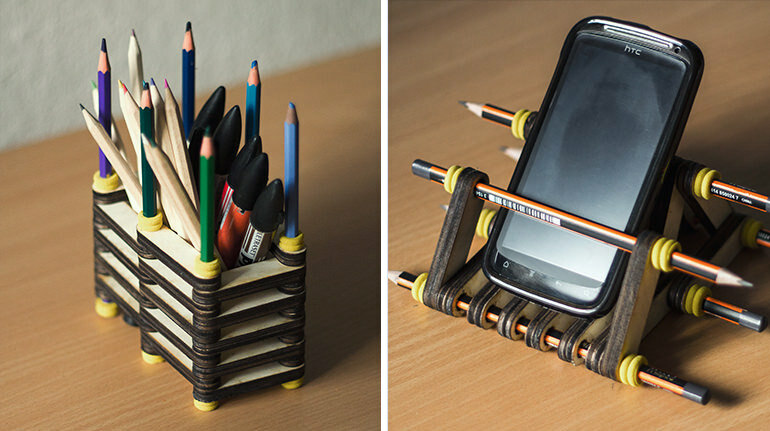 is a laptop stand that enables users self-creativity by providing them "useful" left-overs, which they can create a variety of objects. 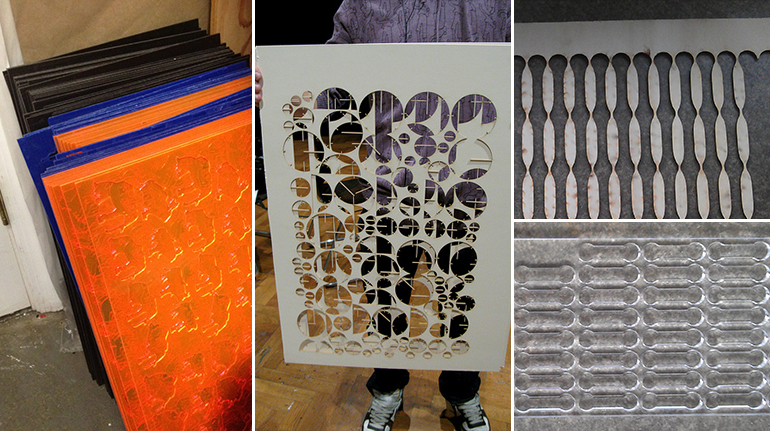 It aims to get the attention of laser-cutter users on their material use and waste. YAPP! 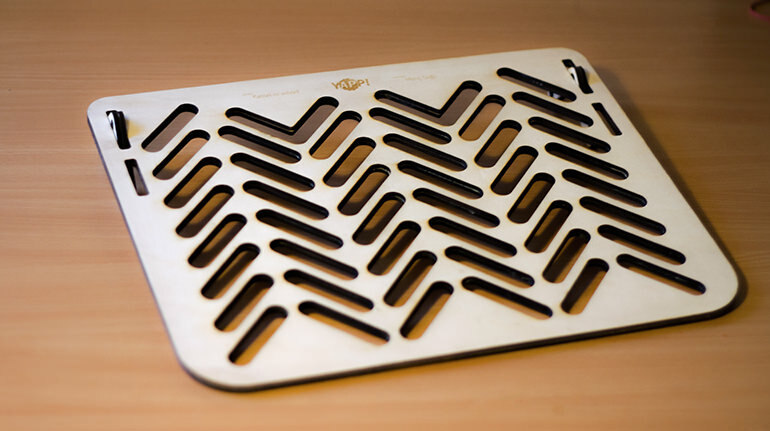 is nevertheless a system proposal for laser–cutter users in order to get their attention to material usage by illustrating a wasteless laptop stand and its reuse system of leftovers. Since Yapp! 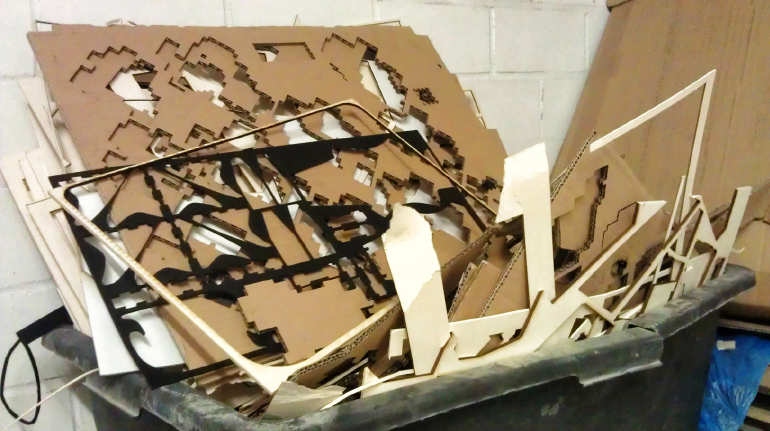 is made from plywood, it is ecologically sustainable. 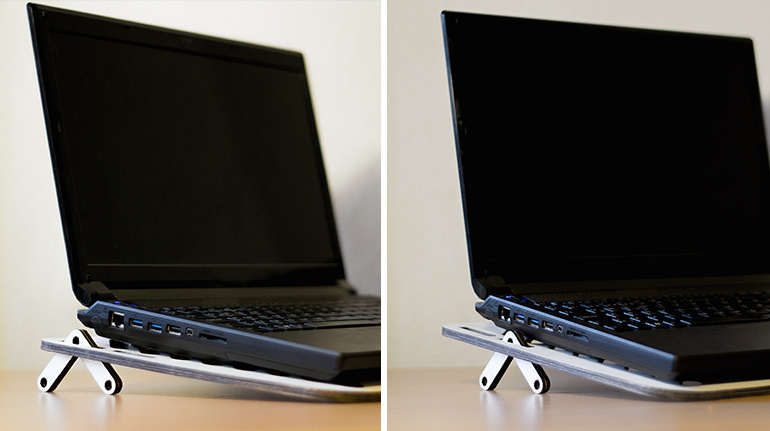 With the help of the two angle slots, a laptop can be used in either 15°or 22,5° angles. 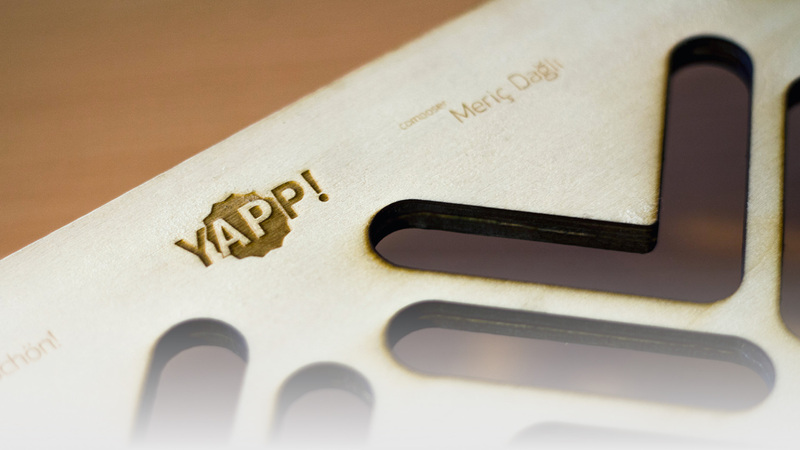 Using laser–cutters' etching function YAPP! 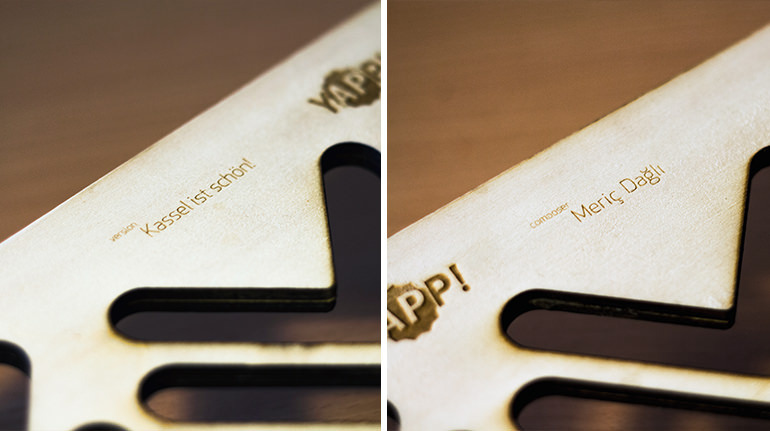 logo and name tag can be etched. With the help of the flexible joint, many different structures can be built and transform into others like playing jigsaw. 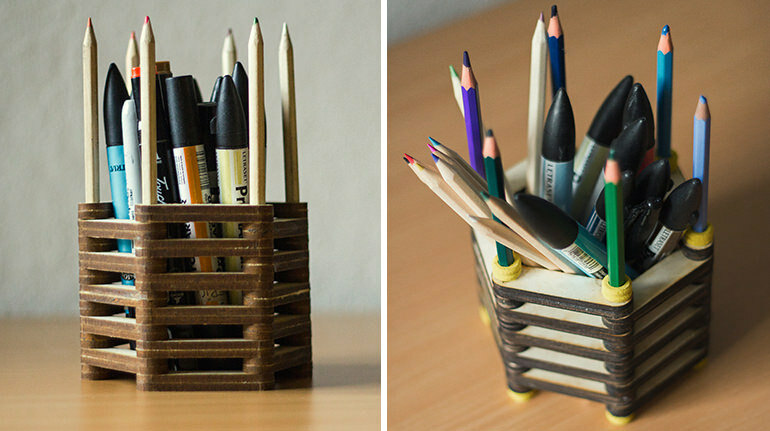 By using half–of–existing excess parts, a pencil holder large enough to accommodate two dozen pencils can be built. To add more stabilization to built structures, common rubber pencil grips can be attached to work as stoppers. 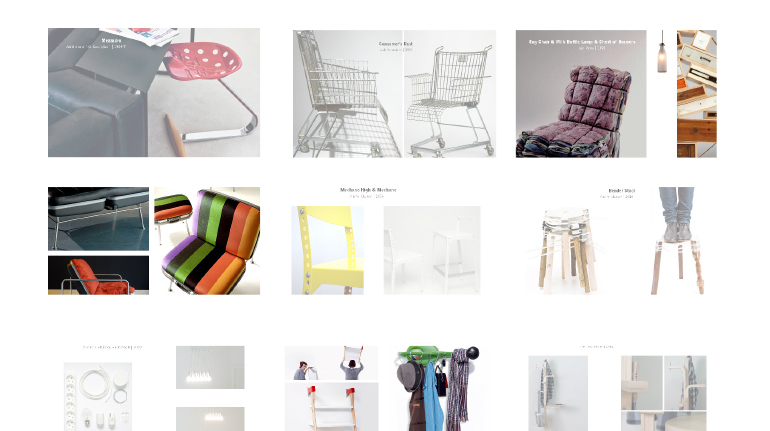 Our project brief was "to imply the remix/sampling/mash–up techniques of music artists to product design profession." 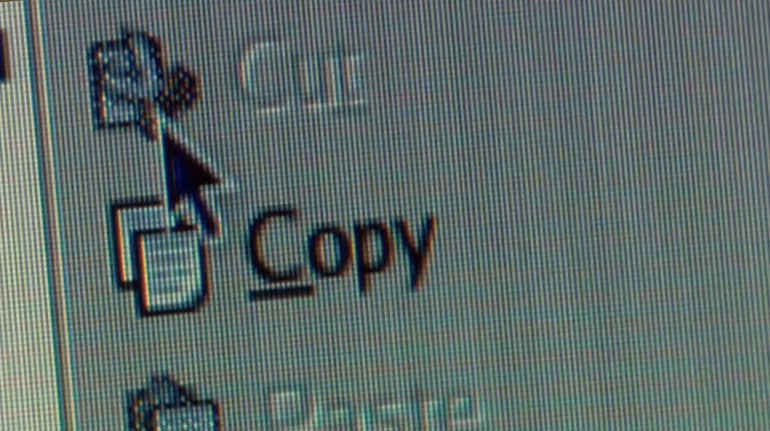 To research copy/transform/combine, I have explored open design concepts such as ready-made, hacking. 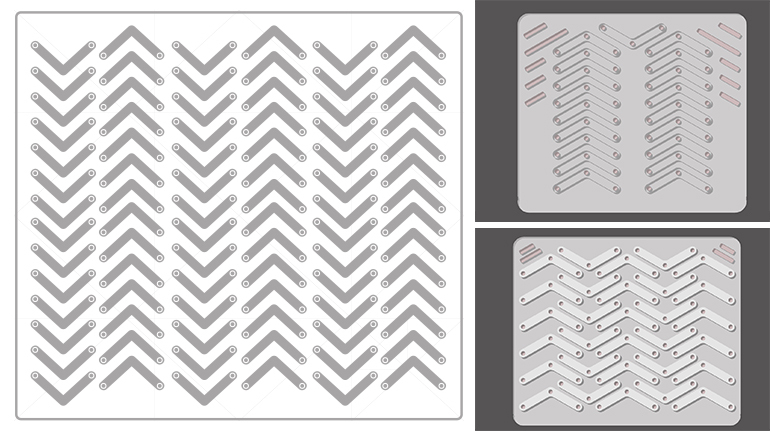 I observed laser–cutters users' in workshops create many leftover sheets with many usable areas. Inspired by this, upcycling laser–cut leftovers to another product was the first idea, but turned on impractical but inspiring. 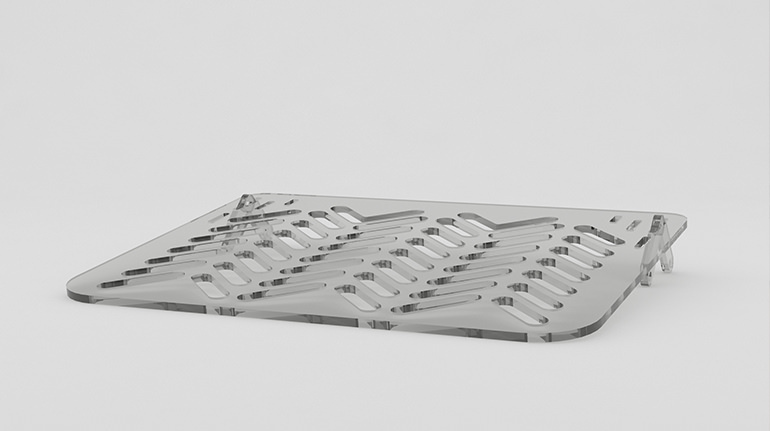 Getting inspired by leftovers, my final idea was a laptop–stand without any waste of material. I designed the cut layout in a way that leftovers can be used to create forms for various purposes. 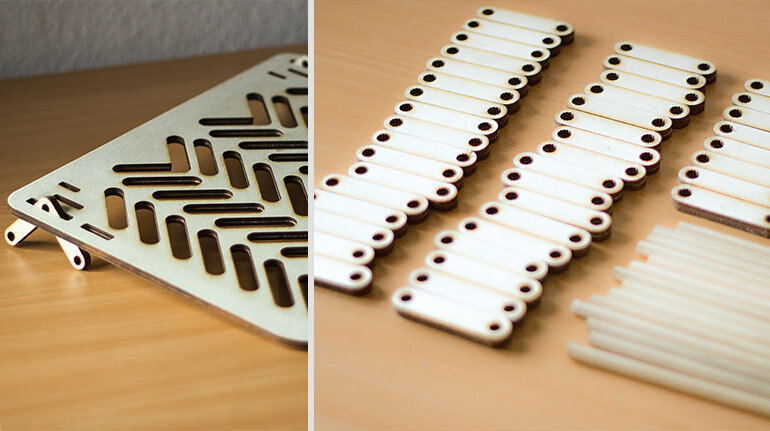 Parts can be cut from different materials such as metal, plexiglass but using plywood is eco–friendly. 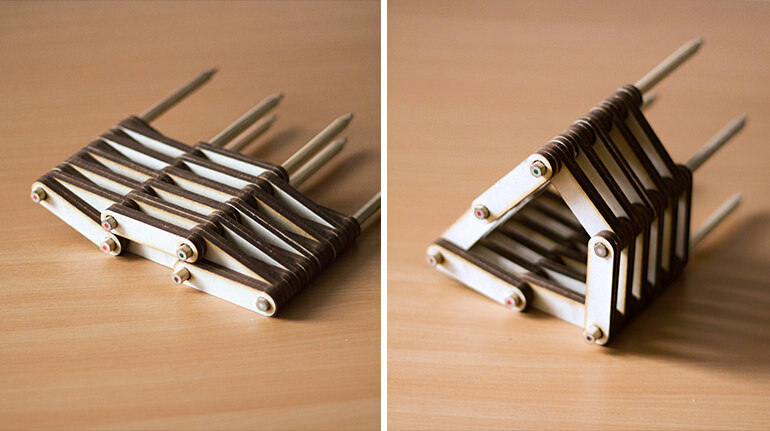 Combining 44 “leftovers” with common pencils, unlimited forms can be created.